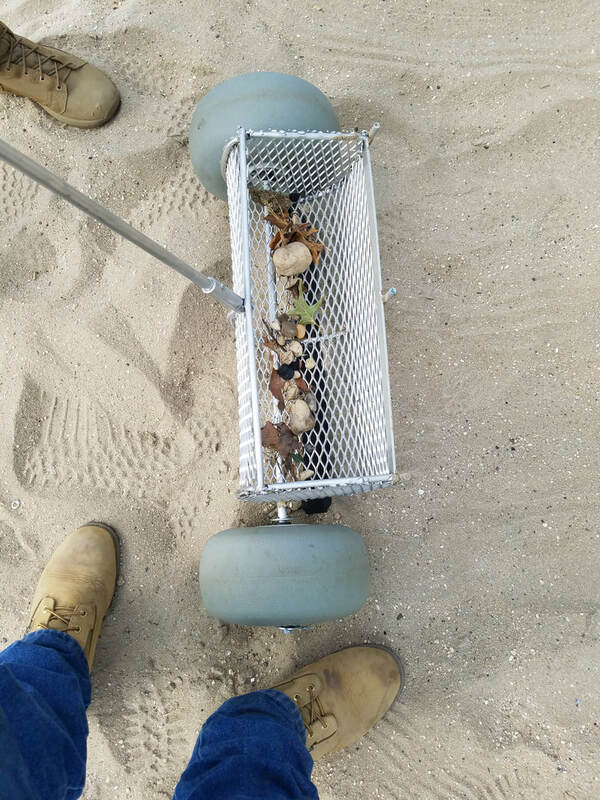 ​The Manual Sand Cleaning Tool Sifter (patent pending) was designed to clean, groom and comb sand areas that need a quick easy touching up. It is perfect for those daily sand surface cleanings or when you don't want to disturb guests on the beach or beach volleyball sand courts. 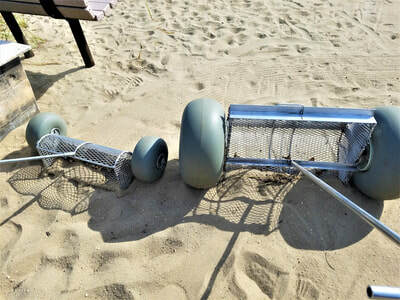 It is ideal for times between the thorough cleaning of other mechanical beach groomers, beach cleaning equipment such as our Barracuda walk behind beach cleaner. Excellent for a quick sand sifting grooming between those Competition Beach Volleyball Tournaments. 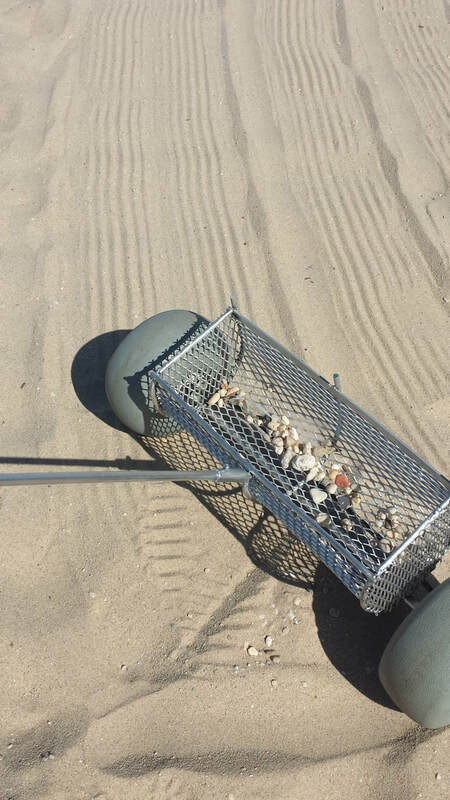 Perfect for sand cleaning around those outdoor Tiki Bars were cigarette filters find their way to the sand. 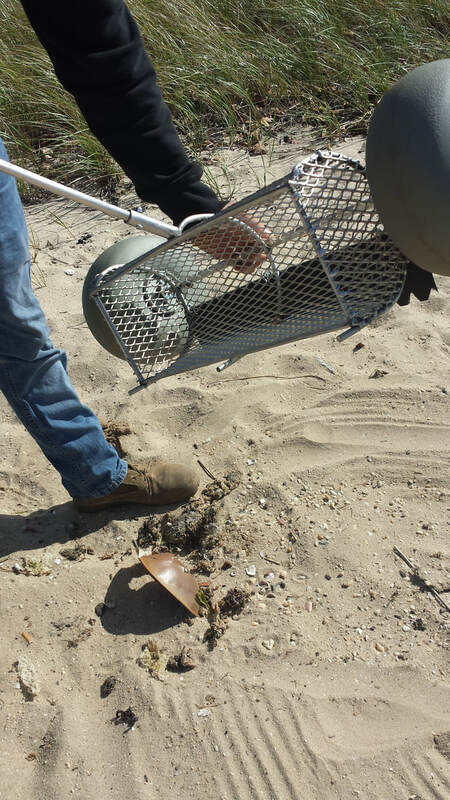 ​Easy to use by anyone and more convenient than raking with a conventional manual hand rake. 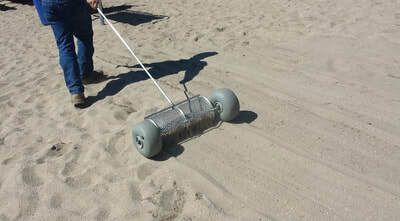 The Sand Sifter Cleaning Tool will be available in 18" and 24" inch working width and all aluminum made. 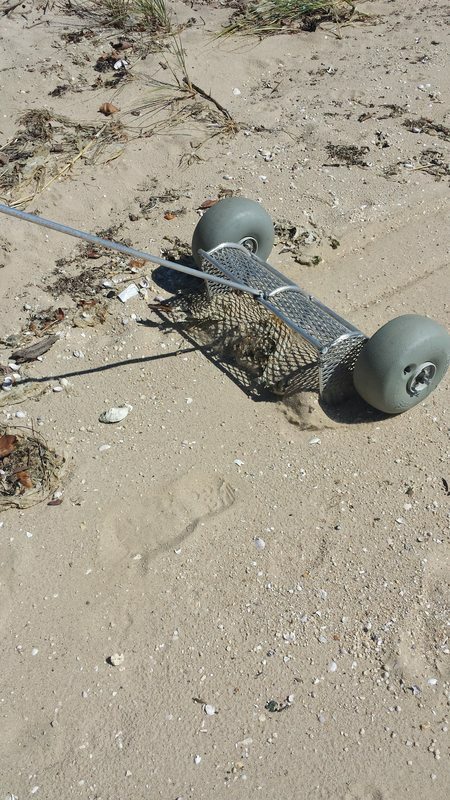 Because of this groomer tool size and light weight, this manual beach cleaning sifter hand tool groomer is ideal for any sand area including small secluded private beaches, private islands or anywhere. Will ship easily anywhere in the world especially where costly freight charges for large heavy mechanical equipment may apply. Please fill out the form below to be one of the first to know when the (Patent Pending) Sand Cleaning Tool Groomer is released for sale. Will be exclusively offered by CleanSands, Inc.